The material that follows is adapted from The Greatest Business Decisions of All Time: Apple, Ford, IBM, Zappos, and others made radical choices that changed the course of business, by Verne Harnish, CEO of Gazelles, and the editors of Fortune, with a foreword by Jim Collins. Lesson learned: Tata Steel’s CEO made a decision that led to a novel and humane approach to layoffs that today’s leaders should heed. It boosted employee morale while saving money. When J.J. Irani walked into his regular quarterly meeting with the shop stewards at the steel plant he managed, he knew this meeting would not be regular. He would be discussing very bad news, news that no one in the room had ever heard before. This was the sprawling, rusting, smoking, antiquated Tata Steel plant in Jamshedpur, India. The news was that some employees were going to lose their jobs. It was unbelievable. 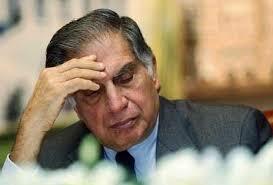 No one ever lost his job at Tata Steel. It existed to give people jobs. Once you worked there, your job was guaranteed, and after 25 years you were guaranteed that your son or daughter could also work there. Yet Irani’s solution has proved to be one of the wisest decisions in the whole realm of employee relations and corporate culture. And it was startlingly generous. Workers under age 40 would be guaranteed their full salary for the rest of their working lives. Older workers would be guaranteed an amount greater than their salary, from 20% to 50% greater depending on their age. If they died before reaching retirement age, their families would keep receiving the full payments until the worker would have reached that age. The program wasn’t as economically crazy as it first appeared. While workers who took the offer would get their full salaries or more, that amount would stay constant until age 61 instead of increasing, as it would if they remained employed; nor would Tata Steel have to pay payroll tax or make retirement-plan contributions. Tata Steel’s labor costs began to decline immediately. By 2004, Tata Steel’s workforce had shrunk from 78,000 to 47,000, with about a third of the reduction from natural attrition. Lower labor costs, combined with over $1 billion of new investment, turned Tata Steel into a far more efficient, globally competitive firm.